Fashion students have it rough. Now, you may be thinking something along the lines of, “They get to shop for a living; what’s so hard about that?” The truth is, the life of a fashion student is much more complicated than most would think. 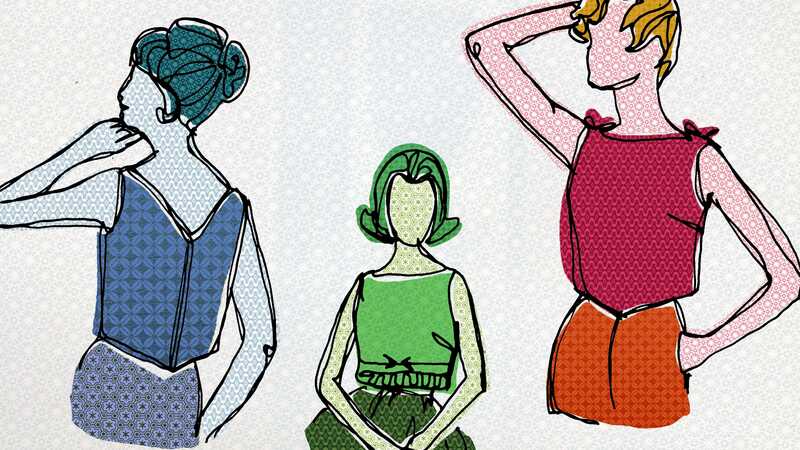 There are tons of widespread misconceptions that fashion students face. Because there are people out there who don’t know that fashion is a real significant offered at some colleges, it makes sense that there a lot of misunderstandings. One thing that fashion majors hear a lot of is the phrase, “Will you design me some clothes?” This stereotype is because many do not know the variety of majors and possible careers people can pursue in fashion other than design. According to Kelsey Snyder, a sophomore fashion merchandising student at Kent State, many think fashion students “all want to be designers,” which is certainly untrue. In fact, there are plenty of fashion majors who can’t even sew. There’s a multitude of directions one can choose to go in with a fashion degree, such as marketing, planning and buying, styling or even journalism. Another common belief when it comes to fashion students is that “[people think] we aren’t smart,” says Emily Nixt, a sophomore fashion merchandising student. Just because fashion is a non-traditional major in comparison to nursing or education, it does not mean it doesn’t require copious amounts of studying and lots of skill. People also tend to think that those studying fashion are “shallow” or “materialistic.” Emma Seyffert, who is in her second year at The Fashion School, says many believe she’s “always judging others’ clothes.” While some fashion students do enjoy observing the unique campus street style out there, they aren’t judging you if you’re wearing leggings and a sweatshirt to class. Whether you are in fashion school yourself, you know a fashion major or you have absolutely no clue how people make a living with a fashion degree, everyone should understand one thing: fashion students are the future. There are many career options available to fashion students, and this generation is taking over the industry by storm. They don’t fit into the mold that many outsiders have put them into, and now more than ever they are striving to make change in society. Though they deal with a lot of deluded comments about their field of study, fashion students work hard to make the world just a little bit more fashionable every day.